Columbus, Ga. – January 18, 2018. 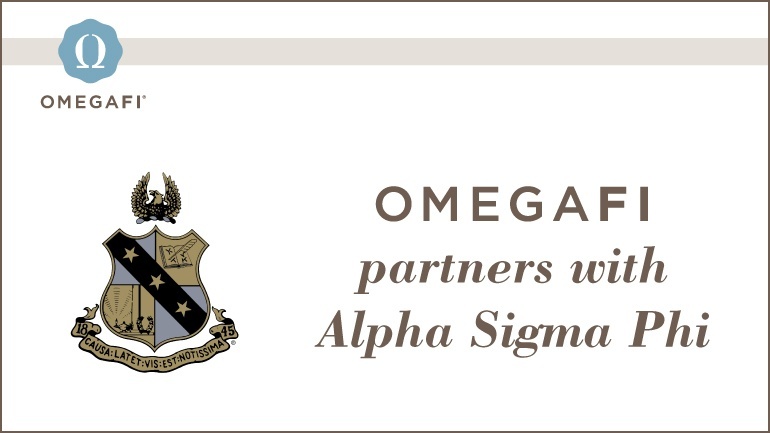 OmegaFi announces a new Vault and Compass partnership with Alpha Sigma Phi Fraternity. Alpha Sigma Phi is excited to gain efficiencies with a comprehensive system to manage member data, foundation operations and chapter finances. In addition, the organization looks forward to utilizing OmegaFi's full suite of services including OmegaFi’s high-touch customer service model. The partnership will result in approximately 160 Alpha Sigma Phi chapters adopting Vault to manage their finances by fall of 2018. In accordance with OmegaFi’s focus on customer service, their team will work to transition each chapter to OmegaFi’s platform. President and Chief Executive Officer of Alpha Sigma Phi Fraternity, Gordy Heminger, commented on his thoughts regarding the partnership, “Alpha Sigma Phi is excited to partner with Omega Financial to streamline our members experience with their technology. OmegaFi combines all of the features that our Chapters utilize in order to successfully manage their operations but in one location with one log-in. With this partnership, Chapters can create online contribution forms for events, bill dues to members, update rosters, manage chapter budgets, view fraternity publications, and so much more. We chose OmegaFi because they've been the industry leader in fraternal technology for 26 years and have a built the most efficient systems for Alpha Sigma Phi." While Compass is dedicated to servicing organizations at the headquarters level, Vault is committed to addressing the unique challenges of managing member data and finances at the chapter level, specifically the billing and collection of member-based fees. Alpha Sigma Phi is OmegaFi’s 19th Compass partner, joining Acacia, Alpha Delta Phi, Alpha Gamma Delta, Alpha Kappa Lambda, Alpha Xi Delta, Chi Phi, Delta Chi, Kappa Alpha Order, Phi Delta Theta, Phi Iota Alpha, Pi Kappa Alpha, Sigma Alpha Epsilon, Sigma Alpha Mu, Sigma Pi, Sigma Tau Gamma, Theta Chi, Theta Xi and Zeta Beta Tau.